AMD Chief Technology Officer Mark Papermaster at CES this week revealed a few additional details regarding the company’s upcoming Ryzen series of CPUs such as the fact that it’ll keep Ryzen around for at least four years – roughly the same amount of time AMD spent developing its Zen microarchitecture. There’s a lot of excitement in the air and it’s not just because we’re in the middle of CES week. AMD hasn’t been competitive with Intel in what feels like ages, a realization that has allowed Intel to take its foot off the throttle in recent years. Its latest Kaby Lake processor series, for example, is hardly any better than the Skylake chips before it (and Broadwell before it and so on). The hope among enthusiasts is that Ryzen is enough of a threat to force Intel to once again get serious about innovation. AMD is well aware of the situation and isn’t taking the opportunity lightly. Jim Anderson, senior vice president and general manager of AMD’s Computing and Graphics business, told PCWorld that they aren’t going to do a paper launch of Ryzen. It’s something they’ve done in the past but aren’t going to mess with this time around. Instead, Anderson said Ryzen chips will be available from day one. The key word there is “chips” as in, multiple chips, not just the high-end eight-core, 16-thread model that AMD has been talking up in recent demos. 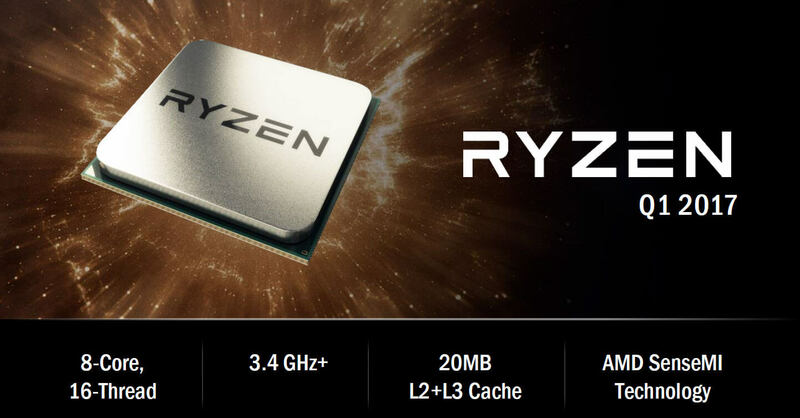 What’s more, AMD product manager Jim Prior revealed to the publication that every Ryzen chip you can buy can be overclocked (assuming you have a capable motherboard, of course). It’s also worth mentioning that only the high-end X370-based AM4 motherboards will support Radeon CrossFire / Nvidia SLI multi-card setups. AMD’s Rob Hallock said data has shown that those who buy mainstream PCs simply don’t get into multi-GPU setups. What’s more, the most popular Radeon cards for CrossFire are the highest-end (expensive) models which aren't what mainstream users will be going after. As for Zen’s lifespan, Papermaster said they aren’t going tick-tock (in reference to the tick-tock release cadence that Intel had utilized for many years before abandoning it with Kaby Lake). Zen, he said, will be tock, tock, tock. Here’s to hoping that roadmap pans out.